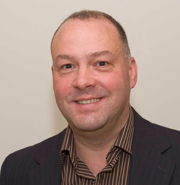 Paul has worked in horseracing since joining Weatherbys in 1987 and is best known for being the author and originator of the Cheltenham Festival Betting Guide since its inception in 2000 up until 2015, off the back of which he has provided a subscription-based horseracing analysis since 2008. Please scroll further down this page to read a betting-related Q&A with Paul that appeared in On Course Profits Magazine in July 2018. 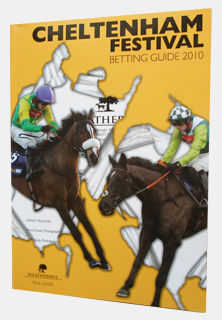 In addition, over the last three decades Paul has been a sub-editor of The Form Book, the editor of GG.com, a contributor for Attheraces since 2003, a pundit for William Hill Radio for eight years, a form guide writer for 17 racecourses and the author of 'From Soba To Moldova'. Other Contributions: Betlive Radio, Bangor-on-Dee Racecourse, Cheltenham Racecourse Official Magazine, The Guardian, The Gloucestershire Echo, The Irish Field, Irish Racing Times, Mackenzie & Selby Point-to-Pointers and Hunter Chase Annual, Mr Green Sportsbook, Newmarket Racecourse, Oddschecker.com, OLBG, Paddy Power, Racing Post Weekender, Racing Plus, Tattersalls, Totepool, Warwick Racecourse and williamhill.com. Before then, however, I can thank the David Chapman-trained and Dandy Nicholls-ridden Soba as when she won the Stewards’ Cup at 18/1 in 1982, winnings of £1.80 meant a lot to this 12-year-old boy, hence why she features in the title of my new betting angles book ‘From Soba To Moldova’ as she was the horse that started me off down this road. I can still hear Jimmy Lindley now telling the BBC audience that Soba couldn’t win from stall number 1 but all that I could naively see were all the 1s in her recent form figures. Straight from leaving school I was lucky enough to get a job with nearby Weatherbys, which was perfect being a horse racing nut as a teenager, where I remained for 14 years (1987-2001) in the Racecard, Raceform and Commercial departments, the most fun being part of the Raceform team that edited The Form Book and various other publications. It was like The Bash Street Kids in that office! When I moved onto the commercial department it was Tom Segal that replaced me. I have kept the local paper job advertisement cutting to this day as the job title must have been the most menial in history containing the words trainee, junior and assistant all in the same position! No wonder my starting salary was only £3,300 per annum! Whilst working my notice, I was approached to be the editor of gg.com (now called gg.co.uk having sold the naming rights for a small fortune) for its launch in 2001 which was the website arm of GG-Media. This was an exciting period based in Lord Hesketh’s Easton Neston Estate incorporating Towcester Racecourse (I went on to become their Master of Ceremonies for four years) given that we were slap bang in the middle of the huge racecourse media rights furore being one of the two rival companies bidding against each other. It was interesting whilst I remained there for a couple of years and I’m glad I did it. 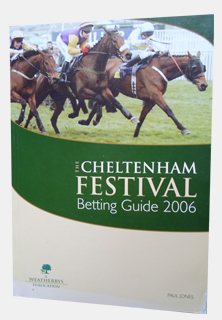 Although I wrote the first of my 16 Cheltenham Festival Betting Guides in 2000, which are still published annually by Weatherbys (and now written by Matt Tombs) that focussed on race trends at the meeting, I don’t think that it was a coincidence that the book really started to take off from 2004 onwards when I could work on it full time throughout the autumn and winter. The most individual sales for one year was 4,200 but, including bulk corporate sales mainly from Paddy Power to give away to selected clients, that can be upped to over 10K. It is my belief that it was those books that were the catalyst that then started the explosion of general trends analysis that followed so I guess they are what I am best known for. I still provide race trends for attheraces.com for the big festivals and for my website members, though not in the same great detail. 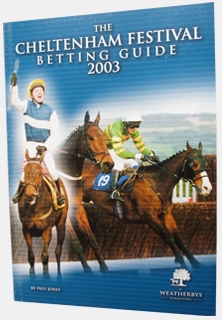 After writing 16 editions of the Cheltenham Guide, I decided that I couldn’t face writing that annual publication for a 17th time so gave Weatherbys plenty of time to find a replacement and proceeded to set the wheels of pauljoneshorseracing.com into motion. 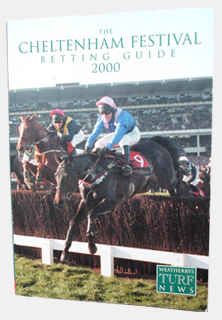 My website launched in the autumn of 2015 covering both racing and sport including regular contributions from guest names whose opinions I respect including Against The Crowd author, Alan Potts. 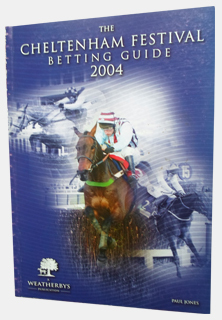 It was that book that made me first start to think about betting on horse racing in many different ways. Aside from writing ‘From Soba To Moldova’, my website is what I have been concentrating on ever since for my loyal subscriber base, most of which were annual subscribers to the book. Would you say that you have a ‘typical’ working day and how would you describe it? Not at all. Certainly not in between May-October as I am much more of a jumps man, though I do enjoy and cover the 30 biggest days on the flat in addition to the summer sport. Besides, I’m not someone who is good at being bound to a daily routine. I would, however, have a weekly rather than daily routine for when the jumps season starts in earnest in November until the end of the Punchestown Festival as that is the main focus of pauljoneshorseracing.com as most of my subscribers are jumps fans in the main who used to buy my Cheltenham Guides. For example, during the jumps season on Wednesdays I write an ante-post column looking forward to the weekend and on Thursdays, I look at the upcoming sport. Fridays are very busy as I am writing the weekend preview covering around a dozen of the best races before watching the action unfold in the UK on Saturdays (I like to attend the big Saturday race days in the lead up to Christmas) and in Ireland on Sundays. 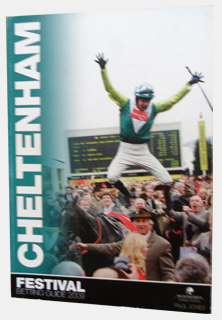 Monday is the heaviest working day of all though when I write my weekly Cheltenham Festival Ante-Post round up (approx. 8000 words per week which can take up to 12 hours) to go live on Monday at 7.00 p.m. That particular service of the website went very well this year with Farclas (20/1), Summerville Boy (16/1) and Rathvinden (10/1) being successful double-figure-priced, ante-post recommendations. I tend to take Tuesdays off as my rest day. What do you think of the world of sports tipping in general and what do you think people are in search of when it comes to their hunt for a successful tipster? I think that most intelligent punters are first and foremost looking for well-reasoned analysis. I should say though that I don’t see or paint myself as a tipster, rather an analyst. Maybe that’s just the massive snob in me? There are some good services out there whose style is to just give their selections with a little reasoning solely on that horse but there are others that give their tips with zero reasoning at all into their thinking. I, on the other hand, cover the race/event as a whole discussing plenty of the contenders and then conclude with a final summary which may or may not give an end recommendation, which is why I see myself more as an analyst. I give ‘recommendations’ when I feel it is right to do so and I choose that word carefully as what I basically do is act as another view to consider to add to your own thoughts thus providing another information source, just like you might use The Racing Post or similar, rather than saying do this or do that. 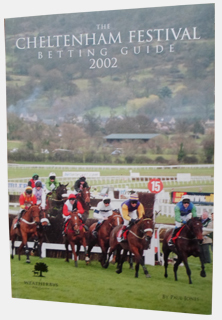 Judging by the amount of returning annual members since I first started writing subscription-based previews as a spin-off from my Cheltenham Guides in 2008 that has now developed into my website, it has proven to be a successful business model. Do you regularly bet yourself? What style of approach do you take to your betting? What do you think of staking plans, loss retrieval systems etc.? I’d have somewhere in the region of 500-750 bets a year split between horse racing and sport and I’m not ashamed to admit that I am more than happy to take heed of advice of those with a far stronger knowledge than me in various sports, hence why I have experts in their individual fields that cover golf, darts, tennis, cricket and NFL on my website. (b) then still get lucky and hope those hands hold up as even a pair of aces only wins 72% of the time. To win a poker tournament, players need to get creative now and again as playing your cards at face value can only see you go so far and that’s how I see gambling in general. Sure, you can chip away and make a small profit if you have an eye for backing ‘the right favourites’ but the no-guts no-glory approach means that you will never win big given the smaller margins involved. My records tell me for a fact that I am not a good favourite backer as I show overall losses when betting at under 3/1. I fare best when betting at prices ranging between 8/1-16/1 so I now think long and hard whether I want to support a horse even with strong credentials at a relatively short price. I also don’t go hunting for bets, I let them find me. The best bets are those that hit you in the face without having to think about it. With regards to staking, I dedicated one of the 20 chapters in ‘From Soba To Moldova’ to this crucial element of betting. In a nutshell, the higher-stakes bets should only be struck when we are confident that we have the greatest value or edge rather than any other factor. There should be flexibility for greater stakes when we have a bigger edge but the idea of having a range of something like a 1-10 points unit stake is plain ridiculous to me as we could have a 20/1 winner and still come out losing on any given day if getting the staking wrong. A 1-5 points’ range seems to be most popular amongst tipping columns but I even think that a range 1-3 is too wide IF you trust your ability to generate level stakes profits. The IF is capitalised as try not to kid yourself on this. My staking levels are in direct relation to my strengths in the main. Therefore being aware of my strengths and weaknesses is a big factor in helping determine the size of the stake for any bet. For example, I know that I fare much the best betting in staying chases so I increase my stake over the average amount for those races but struggle in sprint races on the flat so therefore decrease my stake under the average for those. It’s all common sense really but how many punters would make a list of the areas in which they fare best and worst, place them side by side, and then alter their stakes accordingly? When it comes to staying chasers, without wishing to sound arrogant, and believe me I’m just about to fail in that statement, I’d back myself against anybody. What first attracted you to the world of horse racing and what do you enjoy most about the sport? Pure greed as a boy to be honest! I’m not one who has ever gone gaga over how beautiful horses are or am that particularly interested in the stories behind them, it was all about trying to win money. I’m far more stimulated by the intellectual challenge of working out the best bets than who wins the award for British Champions Series Top Miler. Does anyone actually care? As for what do I enjoy most about the sport, the diversity of British racing is its strength and one day when I am retired and looking for things to occupy me I will finish off attending all the racecourses. What led you into the world of racing tipsters and what do you feel you can offer racing enthusiasts and punters that other tipsters can’t? As explained earlier I see myself more as an analyst than a tipster but, as with any individual offering their personal thoughts, the unique selling point has to be myself. I like to think that subscribers to my books and online services have enjoyed my conversationalist style and also the way I come at things slightly differently including some out-of-the-box thinking that helped me recommend the likes of Rule The World ante-post for the Grand National at 50/1 and Wings Of Eagles who won the Derby at 40/1. For the big races I still compile my own race trends and, although this form of analysis has reached a saturation point for some, trends keep being highlighted because they keep working. If they didn’t, then exactly what is the point? This is something totally lost on those who are against trends and who love to take such delight when finally a strong trend is broken and then conveniently elect to ignore the years and years of what preceded it. A reply along the lines of “congratulations, you must have won a fortune” usually shuts them up. As you can tell I still remain defensive whenever trends are attacked as worthless but I am less dependent on them than in the past, mainly because the market has caught up with them due to their increased popularity but I still take on board the stronger trends and the lesser-known trends that are not factored into a horse’s price. At the end of the day ‘trends’ is just another word for ‘facts’ or ‘data’ and we don’t dismiss those as they are what most bets are factored around i.e. form. Those opposed to trends analysis are usually happy to quote them when it suits their argument though and, as for anyone who lazily uses the brush-off line that “trends are there to be broken”, then I plain find it hard to treat their overall views seriously as that is just another way of saying, umm, I haven’t got an answer to that one so this line will do and hope I get away with it. 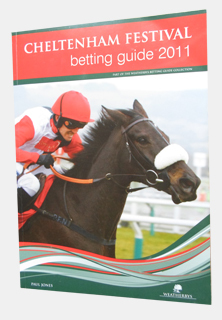 What traits do you think a good racing tipster should possess? If you haven’t got integrity, honesty, reliability and a good reputation in this game then you have nothing. Looking beyond the obvious and adapting your methods to keep up with the times are also crucial. New and old punters alike can struggle to make a success of their betting. If you could give them just one piece of advice to improve their profitability what would it be? Make your eyes and gut instincts the overriding priority over all other factors. That’s why I made that sentence the opening chapter in my book. Despite having immediate access to all the stats, facts and figures at the touch of a button to help in the decision-making process, and they are undoubtedly a big help, when it comes down to the nitty gritty of making a final decision then I will trust my eyes, gut instincts and sixth sense over everything else. The chess grandmaster, Garry Kasparov, once said: “A chess player who didn’t rely on intuition at all would be paralysed and decisions would either take too long or you would be unable to act and be unable to make a decision at all.” I’d argue that it’s exactly the same in punting successfully. Down the years I would say that many of my best winners are those that found me without having to put in any real thought. For whatever reason, I just instinctively knew that was the bet. Plenty of those instincts transpired to be well wide of the mark but the likes of Rule The World fitted into that category. 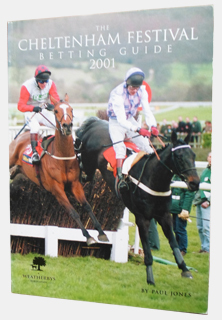 It’s hardly as if I swotted through The Form Book, noted that he had never won over fences in his career after 13 attempts and was now about to tackle the world’s greatest steeplechase and thought, fantastic, that’s the very fellow for me! There can be a danger, however, of over-thinking and making things seem an awful lot more complicated than is the case. 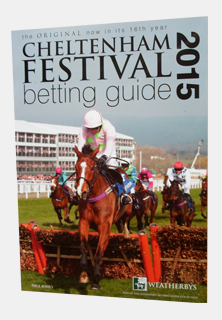 When I was writing the Cheltenham Guide, sometimes I couldn’t see the wood for the trees at the festival as my head was in it 10-12 hours a day, every day. Obviously, that’s an extreme case researching and writing a comprehensive annual but I’d say that any more than an hour studying one race is too much as that can allow the minutiae to then have more of an effect on your thinking than the factors that matter much more, like what’s the best horse? At the end of the day we’re looking for what will go on to be the best horse in most cases, even in handicaps, so I don’t think that a bad starting point when analysing a high quality jumps race is to first ask yourself before any other factor, which horses have the potential to win by a stated margin of distance? 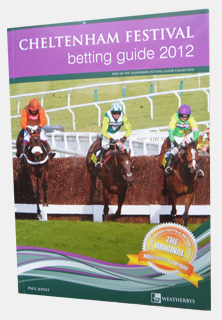 On the flat when analysing a handicap or conditions race ask yourself which is the one most likely to be a group horse? In other words, which horse is likely to have the most brilliance? These questions will soon cut your options down to a small short list. What would you consider to be a highlight of your racing experience to date? Do you have any personal racing/betting experiences which when reflecting back brings a smile, or for that matter any which bring a grimace; you can share with our readers? The grimace is an easy one as I would have won £44,416 on the Placepot on the Cheltenham Gold Cup card the year when Lord Windermere won if only I had another fiver in my pocket. I had filled out my form of 32 x £1 lines only to find £27 on me a couple of minutes before the Triumph Hurdle so, rather than quickly rewriting it and reducing the stake, I plain left it. I knew that it would be huge pay out as soon as my horse filled the frame in the sixth race - as it transpired it was the biggest Placepot dividend of the year. It was a long drive home especially as I also got very keen on the day for On His Own to win the Gold Cup and backed him at 20/1 only to see him lose out by a short-head having been hampered. 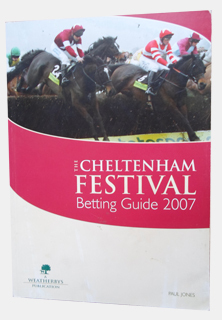 As for highlights, in the flesh, the most exciting race I have seen was when Denman beat Kauto Star in the Gold Cup, a race that just built and built over the two circuits as much as all the hype in the weeks leading into the festival. The most mind-blowing performance was Frankel winning the 2000 Guineas ahead of Arrogate in the Dubai World Cup and the most memorable was the Void Grand National. I was only in my early-twenties so please forgive me when I say that I was killing myself with laughter in the stands. 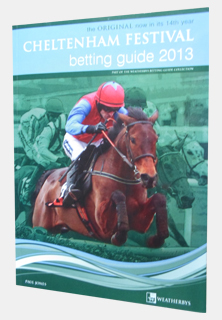 Many website forums are full of criticisms of the bookmakers and their treatment of their customers? Is this something you have an opinion on? I just grit my teeth and bare it in terms of restrictions and account closures but it does annoy me that bookmakers advertise on TV so heavily but as soon as you look like a clued-up punter then they don’t want to know. As such, I’d like to see the number of adverts heavily reduced. Actually it doesn’t affect my betting too much as, outside of when I go racing and for ease of getting on, I tend to place approximately 70% of my bets on Betfair with 20% in betting shops (luckily I can spread it around as there are ten within walking distance of where I live) and 10% from what remains of my online and telephone accounts. Those bookmakers’ accounts come in handiest when some of the online-only firms bet down to eight places or more for each-way terms on certain events, or ten places on the Majors in golf, and that’s too good an offer to ignore. Even certain huge-field, big handicaps these days like the Cambridgeshire and Cesarewitch sees some firms bet down to eighth. You made a couple of statements in your book ‘From Soba to Moldova’ that we agree with so I'm just going to state them here for our readers. So not really a question but if you'd like to add anything to them we'd be happy to hear any additional thoughts. "If you believe that you are unlucky then that is what you become it's a self-fulfilling prophecy" and "If we keep backing horses at substantially bigger odds than SP we're in good shape in the long run"
I have nothing, in particular, to add to what I wrote but the first part was from the chapter on ‘Dealing With Losing Runs’ where I go into the mental side of betting because, as punters, we have to maintain a positive outlook at all times and especially during the inevitable losing runs as psychologically it is tough to keep betting in the same way during a bad run but I try to keep faith in my judgement and methods. Some of my friends tell me that I am lucky. I’m not sure about that. What I am sure of, however, is that many of you will already be familiar with the Gary Player quote (if not then google it). I just think that if you believe that you are unlucky, then that is what you will become. It’s a self-fulfilling prophecy true in any facet of life. It is important to understand that there is a whole world of difference between bad bets and bad results so not all losing streaks can be as poor as they seem so we have to keep a positive perspective. Still, we are all going to have losing runs no matter how good we think we are so it is how we cope with that which is the critical factor just like test match bowlers whose best deliveries regularly get edged four runs to compound the feeling of injustice but can then claim a top-order batsman with a shocking delivery. (2) keep reminders of your best successes close to hand for constant reminders. We often hear of professional sportsmen and women when going through a rough time referring to re-watching videos of their greatest achievements to instil self-belief that they can return to their best. My way of attempting likewise to help develop a winning mentality is to surround myself with memories of my favourite betting successes on my office walls. As for “If we keep backing horses at substantially bigger odds than SP we're in good shape in the long run", that’s successful betting described in a nutshell isn’t it so I’m not sure that it needs any further explanation than that. In your book, you make the point that NRNB on ante-post markets is the greatest concession the bookies give. Are you much bolder with your ante-post bets once NRNB is offered? 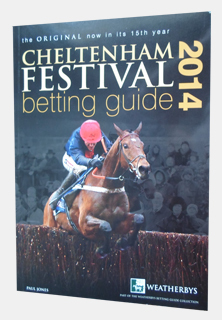 Around half of my Cheltenham Ante-Post bets are when the NRNB is in place. A good number of firms offer NRNB on the big four championship races before horses have their final trial and that’s an offer to certainly consider as it will be a case of a number of horses moving up in class to test the water as to whether they should head to one of the big races in March. If they were to win, then the strong likelihood is that they will then be given the green light for the championship race but, if they lose, then head to a lesser race so any NRNB stakes would be returned. Ideal. 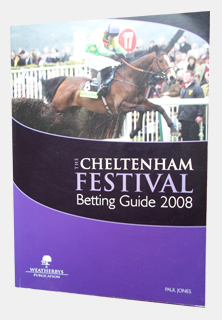 Breaking down my Cheltenham results down the years, although I find it irresistible to have some early ante-post bets (and I don’t think that my members would be too pleased with six consecutive weeks of ‘Recommendation - No Bet), my best record has come with advice just before a horse is to have their final prep race in January or February. Although it is not always the case, there are certain races I like to get involved in before the New Year like the Cross Country Chase and Arkle as we’ve already got a pretty good idea of what their respective line ups will be from an early stage. With regards to novices, and especially Willie Mullins-trained novices, the best time to get with them is between having their first and second runs in the main before the price is drastically cut if they go and win well second time out in a higher quality race. Intuition seems to figure strongly in how you find your bets. We tend to advocate a systematic approach where a bettor would bet all selections that are identified by a system. We prefer that because it helps the busy punter but also because it takes away some of the emotion from betting in that we know what we have to bet and the current losing or winning run won't affect the selections we make. How do you handle the ups and downs of winning and losing runs and is your judgement ever affected by your recent bets? I prefer intuitive betting as that’s where my best results have come from and aren’t half the fun trying to work things out for yourself rather than being led by data? There is no right or wrong way, it is what works for you and what best suits your temperament. I am a fairly creative person so it suits my style. If we all took the same approach then it would be a very boring game. Luckily I have never chased losses, not even when I started out which is a common failing amongst younger gamblers. What I have been guilty of in the past though, but not anymore, was trying to turn a good day into a great day. It’s easily done but I have become a lot more disciplined in this respect so, no, my judgement is not affected by recent results one way or another. You state that you are not a rating user; do you think ratings are over-bet? What do you think of the handicap system and weights in general? Ratings are the cornerstone of many markets so I just ask myself, therefore, where is the edge in following them? Unless the clear top-rated is say 12/1 for example. Of course, I have an overall feel for the margin that horses have to make up on rivals but, as far as pounds-and-lengths arguments are concerned, forget it. Nine times out of ten I would fancy the winner to confirm placings with a runner-up on 7lb worse terms as there is something inside involved in winning a race that figures can’t account for. And don’t even get me started on arguments like Horse X is 3lb better off with Horse Y for 1½ lengths as I really can’t have it that the equivalent of a baguette and cup of tea makes much difference to how fast a half-ton racehorse can run. As for the handicapping system in general, I don’t think that is much doubt that horses over fences are rated higher now than ever before. 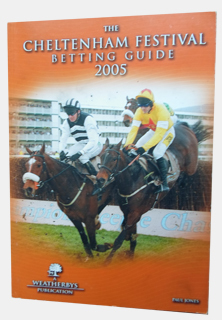 For example, Denman was awarded an official rating of 161 after he won the RSA by 10 lengths in 2007. Fountains Windfall was given just 3lb less for winning an uncompetitive, six-runner handicap for which he started at odds-on at Kempton a few months back. Go figure. Novices are a lot less leniently treated than before which was a big angle I used to exploit. I don’t think that they have caught up with them in handicap hurdles and chases over two miles in particular in the spring yet though. A lot of your bets are on sports other than horse racing and football. What do you consider to be the best markets to concentrate on outside of the top two and why? Can you really get a big bet on the Eurovision song contest? Absolutely you can if you wanted to on Betfair as it has the biggest European audience of any televised programme so there are vast amounts of liquidity on the event. The value has usually all dried up before Grand Final night though as the market leaders now dominate the voting. It has been a profitable event for me but no good this year though. Bloody Chicken Song. I like golf betting. In fact, I’d say that is my second sport over football. The angle I like with golf is reducing the risk by reducing the field. There is being ambitious and then there is being far too ambitious like betting in a 156-runner event so the majority of golf betting columns will advise five players on average for an event. Fine if you want to cut your odds by a fifth. Therefore before the start of the Majors and other big tournaments, I like to get involved in the Top Player markets split into categories like Top English, Top Australasian, Top Continental European etc., for the simple reason that I’d much rather reduce the risk and bet in say a 12-runner race. Bookmaking trading rooms also won’t put any great thought into these niche markets, just cutting each player by the same percentage from their outright odds. There are also some great each-way shapes about some of these markets in say 10/12-runner contests when half the players can be ruled out with a degree of confidence. There are other sports where I like to slice the overall tournament into smaller segments to keep the strike rate higher for our confidence levels. Football for example, where I usually get involved in the Premier League regional markets at the beginning of the season. In knockout sports like tennis or darts, rather than trying to find the tournament winner, my first thought is usually more towards trying to find the individual quarter winners, therefore, cutting the tournament into four separate tournaments so just attempting to find a player who will reach the semi-finals. You have a lot of contact with pro bettors, what common traits do you see in them? What do you do to relax and unwind? What interests have you outside the world of horse racing? Many now that the ‘kids’ have reached 21 and 17 so I have finally got through to the other end! Getting the life balance right is important but I probably still have too many interests that revolve around sport and betting. I took up cycling a couple of years ago, still slice my golf balls around various out-of-bounds areas, like to watch Northants CCC, I visit my apartment in Spain three times a year to coincide with major sporting events, visit Vegas once a year and partake in many a quiz including running my own monthly sports quiz, though I have cut down on my poker nights and very rarely now attend a flat race meeting. Over the last few years I have also started travelling a lot more and becoming more of a film buff - anything mobster/underworld-related attracts my attention more than most.